Samsung is a mobile company who have worked hard over the years to try and make sure that people have a consistently high standard of mobile device to use. It’s easy to tell why they’re among the biggest mobile phone providers in the industry because all of their products are of the same consistently high quality. This is going to be a safe bet for everyone, and you can tell that all of the features have been carefully designed and implemented to make it the optimal choice for you. 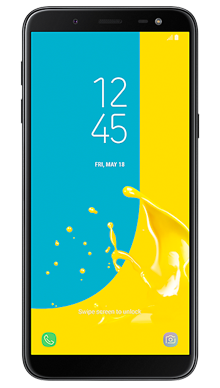 The design and screen of this phone are two of the best features of it, offering a smooth and stylised design which provides a very modern look. The screen is equally impressive, and together they form an effective tag team to connect with a modern audience really. To begin with, let’s look at the screen. Taking centre stage on this device is a very impressive 5.6’’ screen with a Super AMOLED display, providing a 720p resolution. This remains a good sized choice for a screen and provides people with all the power they’ll need to view photos, videos and perform a selection of tasks. From a visual perspective, it looks terrific too, offering a smooth, contoured design which is supplemented by its modern texture. It’s not a big phone or a heavy one either, so it feels good in the hand. The pixel count is 720 x 1480, which is very impressive. As a phone, this comes equipped with all of the standard audio facilities which make up a Samsung device. It comes with a very capable loudspeaker, and has access to FM radio and also an audio jack for headphones. You’ll get an excellent consistent standard of audio from start to finish, and this really helps to solidify how good the device is. The camera on this phone is atypical of Samsung models - it’s of a consistently good standard and will take the photos that you need to take. The 8-megapixel camera is operating at a consistently high level from start to finish, and this means that you can take all the photos you need without having to worry. As a phone, the Samsung J6 performs well even when under considerable stress, and it is easy to see why this is a device which is easy to use and doesn’t serve to inconvenience you. Concerning chipset, this is rocking the Samsung Exynos 7 Octa 7870, which is a competent set that’ll see you through most of the everyday tasks you find yourself doing. The set allows the phone to keep up with all of the different demands which are placed on it, whether you are looking through social media, checking emails or making phone calls. There’s plenty of storage on the phone as well, with 3GB of RAM and an internal memory of 32GB, although you can expand to 526GB if you want via an external memory card. This removes the need to delete older photos and files, so you don’t have to worry about that. These attributes mean that you’re going to get a phone which performs well and doesn’t suffer from lag issues and common faults that some of the less powerful models have. 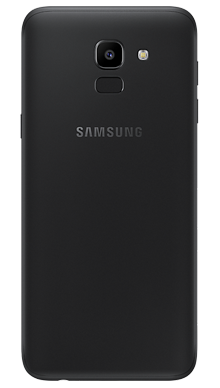 This performs well no matter what you’re doing, and it represents Samsung technology at it’s finest - reliable, consistent and easy to work with. Navigating between all of the various menus is easy and responsive, so there are no complaints here. To summarise, this is a phone which offers a lot to whoever decides to use it. It is smart, capable and easy to work with, which lends itself well to being used by both casual and business people alike. 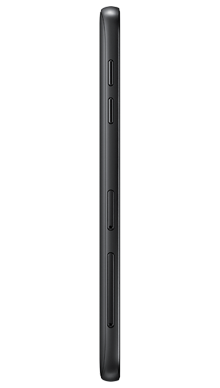 The design is good, and the screen has been designed to give you all the resolution you could need. The camera and audio are all working at acceptable levels, and the phone performs well with a good chipset and operating system. It is easy to see that this was designed to be responsive and made to work well, which makes it a good choice for anyone who wants to get their hands on a Samsung device. Here at Metrofone, we strive to make sure that you have the best possible experience when it comes to looking for a mobile phone deal which will benefit you. That is why all of our deals are designed with the sole benefit of the customer in mind - we are nothing without you, and so all we do is for you. To that end, we’ve partnered with EE exclusively to make sure that you get the best possible selection of deals and offers. EE is a well-established and prominent provider who share our vision for providing the best possible customer service and satisfaction. Plus thanks to their long coverage, you won’t find many parts of the U.K where you can’t get good service. Some of their deals provide you with exclusive access to things like BT Sport and Apple Music to really sweeten the deal. When you throw in our unique free delivery system and prompt service, you get a deal which is really top of the range. 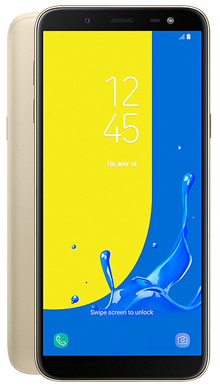 So if you’ve got your eye on the Samsung J6, or you want to discuss another of the deals we offer, why not speak to a member of the team? They’ll be more than happy to sit down with you and talk about all of the different options which are available for you to consider, so please do not hesitate to contact us on 0333 900 1144.